Newport in the 1960s was a time-worn place, a city of many architectural layers. Some saw decay; others saw a sleeping beauty. Urban renewal celebrated modernity, and historic preservation revered the past. These two forces were engaged in an epic battle for the future of the city. Through period photographs and compelling news reports, journey back to the old colonial districts of the Historic Hill and Point and witness the explosive firmament of the 1960s when an important chapter in Newport’s history was being written. Doors will open at 5:00; the lecture begins at 5:30. We invite you to visit the special exhibition galleries before the program. John R. Tschirch is an award winning architectural historian. He received his M.A. (1986) in Architectural History and Historic Preservation from the School of Architecture at the University of Virginia. His thirty-year career in the preservation and study of historic landmarks across the globe brought him on treks to French chateaux, English castles, Italian villas, Austrian palaces, Croatian fortresses, Argentinian mansions and the Gilded Age houses of America. John currently serves as the Visiting Curator of Urban History at the Newport Historical Society. This program is co-hosted by the Newport Historical Society and the Newport Restoration Foundation. This event is one of many during the 2018 season that celebrate the 50th anniversary of the Newport Restoration Foundation, by looking back at — and sometimes reviving — what Doris Duke and others were up to around the time of its founding. 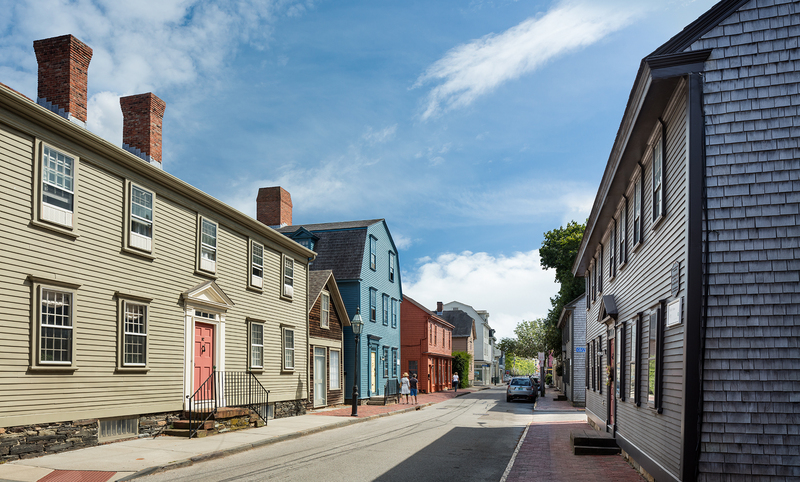 This lecture is also part of the Newport Historical Society's "Mapping the Newport Experience" project, which documents the evolution of Newport's urban plan and streetscapes from colonial settlement to the present.